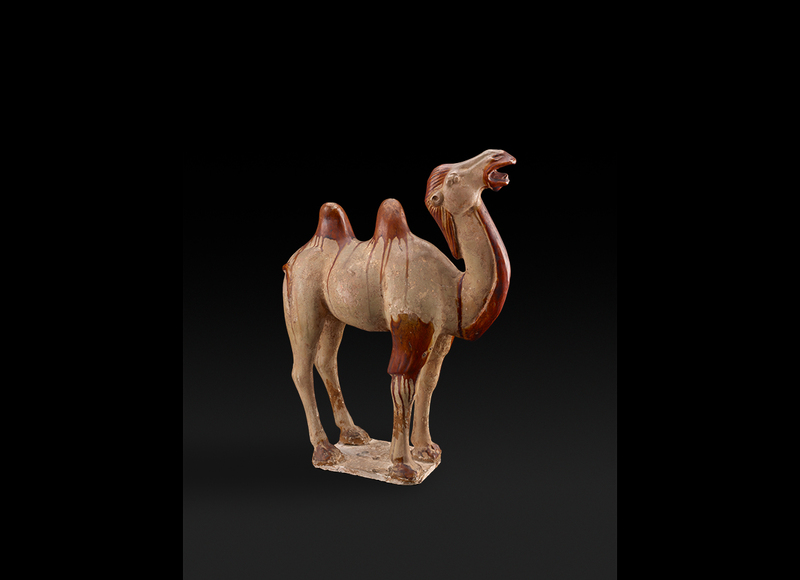 Despite Camels not being native to China, portrayals of the two-humped camel are commonly found in Chinese tomb sculpture. 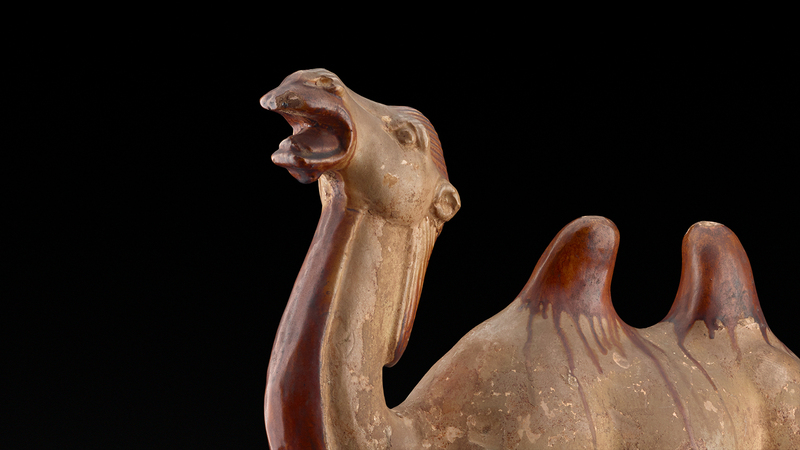 The Bactrian camel was useful for carrying goods on the Silk Road between China and the West. 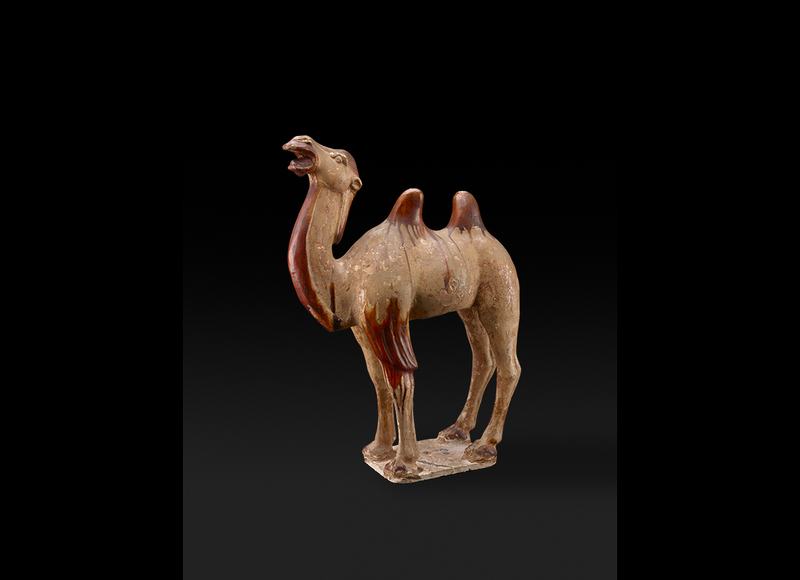 Objects like this were placed in tombs of the wealthy in northern China during the Tang dynasty. These objects or mingqi, meaning 'spirit object' were placed in chambers within the tombs to protect the dead from evil. The large amount of mingqi in a persons tomb represents their wealth and status within society. The tombs themselves were very important to the ancient chinese as they believed that when you died your soul split in two, one staying in the human world and the other to the spirit world.